Aadhaar Card Address Update: Aadhaar Card is a necessary document, there are still many such works which are not possible without Aadhaar card. Maybe you are changing the house or you have made some mistake in the address while forming the Aadhar card, in such a situation it is very necessary to change the address on the Aadhaar card. You do not need to go anywhere for a change in Aadhaar Card Address. Yes, today we will tell you through our article how in-jokes you can update your address in the online base card sitting at home. Aadhaar Card Update Online is available only on the website of the Unique Identification Authority of India (UIDAI). First of all, it is important to know that for the Aadhaar Card Update, you should have that number, which you had registered when you created the Aadhaar card. This is because OTP is sent to the mobile number during the update process. If you do not have a mobile number then you can go to the enrollment center and update the mobile number. In order to make any changes in the future, you need to repeat the rounds of the Aadhaar Center again and again. 1) First of all, you have to go to the official site of UIDAI https://uidai.gov.in/. 2) Then click on the address update request (Online) on the homepage. 3) Click update address in the new window. 4) Log in by entering the base card number. 5) After this, you will get OTP (One Time Password) on mobile. 6) Enter the OTP and go to the portal. 1) After the login in the portal, select the address option. 2) After clicking on the option, the Aadhaar Update form will open. Provide information according to need. 3) After entering the information sought after, check it once more. After being assured, click the Submit Request Request option. After the data update request, the next step will come in the document. 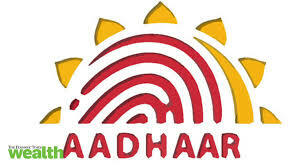 Some important documents are required to update or change an address in Aadhaar Card. Passport, Bank Statement, Bank Passbook, Post Office Account Passbook, Ration Card and Voter Card etc. Explain that the document's self-contained photocopy has to be uploaded. 1) After uploading the document, select the appropriate option in the BPO Service Provider. 2) Then click the Request Summit button. After completing all the steps mentioned above, you will receive an update request number. Keep this number in hand, if you wish, you can also download and print the acknowledgment copy of the request.